Ruth is an award winning artist and designer. The name ‘Danu’ derives from the Celtic goddess of earth and creativity and the Hindi goddess of water. Both Irish and Asian influences are echoed in her designs as she embraces diverse cultures and ancient artefacts. 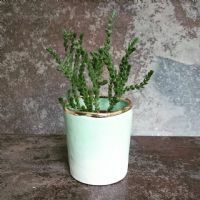 Specializing in jewellery and ceramic homeware, her clay hand-made range shows an appreciation of the integrity of natural objects and processes.